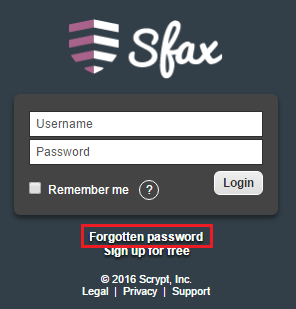 If you have forgotten your password and are unable to login you will need to use the Forgotten password option at the login screen. 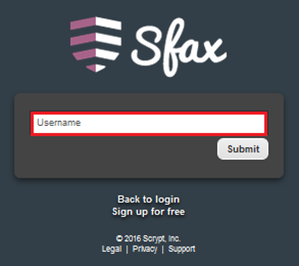 You will then be prompted to input your username and then submit. If you have input the correct username you will see a message "An email has been sent with information on how to reset your password." 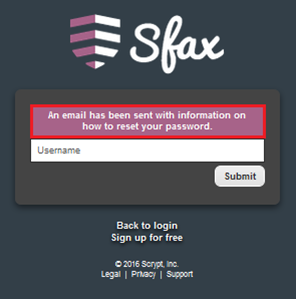 The email will contain the link for you to reset your password. 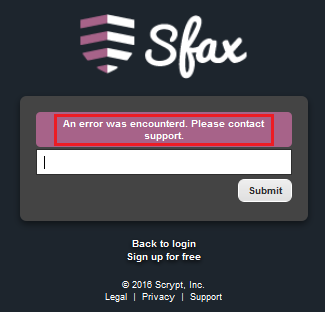 If you input the wrong username you will encounter a message "An error was encountered. Please contact support." You will want to contact Voiceopia to confirm your username. The other option to change your password is to first login with your credentials and go to the Settings option. Once in the Settings area highlight My Profile. 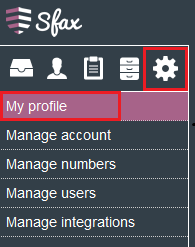 On the right side of the screen you will see User Settings and if you scroll down below that you will see the area Change Password. From here you will need to input your current password, new password, and confirm the new password. Once you have input the information select Submit. If the password changed successfully you will see the message "Personal User Password changed" on the top of the screen. You have now completed the process of changing your password.